Investors are sometimes required to consider news stories from different angles. One example of that is in the defense industry. A new contract in that sector could mean a company is maintaining its operations or it could signal that a company is advancing technology. This industry could, in fact, be a bellwether for the broader tech sector. Many advances in consumer electronics, including the internet, began as developments in the defense sector. That’s why it is important for investors to read the news from the defense sector and consider the implications beyond defense. A recent contract award, as GlobeNewswire reported, could show this smaller company could be at the leading edge of the cybersecurity industry. Traders seemed to cheer the news. “Mercury Systems is a leading commercial provider of secure sensor and safety-critical processing subsystems. Optimized for customer and mission success, Mercury’s solutions power a wide variety of critical defense and intelligence programs. Mercury is pioneering a next-generation defense electronics business model specifically designed to meet the industry’s current and emerging technology needs. A leader in rackmount solutions for defense applications, Mercury’s EnterpriseSeries servers have been deployed on over thirteen major Army programs in the last three years. “We are proud to support our customer and the U.S. Army with solutions that deliver trusted performance while operating on the move,” said Scott Orton, Vice President and General Manager of Mercury’s Trusted Mission Solutions group. These technologies could be applied to other sectors and that could explain the stock’s long term performance. As with the ownership of any stock, buying MRCY could require a significant amount of capital and exposes the investor to standard risks of owning a stock. Every day, we scan the markets looking for trades that MRCY low risk and high potential rewards. These trades are available almost every day and we share them with you as we find them. Now, it’s important to remember these are trading opportunities in volatile stocks. For MRCY, the April 18 options allow a trader to gain exposure to the stock. An April 18 $65 call option can be bought for about $1.35 and the April 18 $70 call could be sold for about $0.37. This trade would cost $0.98 to open, or $98 since each contract covers 100 shares of stock. In this trade, the maximum loss would be equal to the amount spent to open the trade, or $100. For this trade in MRCY the maximum gain is $4.02 ($70 – $65 = $5; $5 – $0.98 = $4.02). This represents $402 per contract since each contract covers 100 shares. 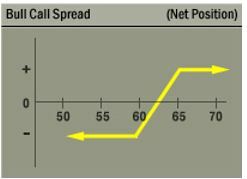 Most brokers will require minimum trading capital equal to the risk on the trade, or $98 to open this trade. That is a potential gain of about 310% based on the amount risked in the trade. The trade could be closed early if the maximum gain is realized before the options expire.